Where is it Wednesday! South and North Korea - Holy Smithereens! Where is it Wednesday! This is the closest I ever got to North Korea. I visited the 38th Parallel AKA the demilitarized zone (border between North and South Korea). 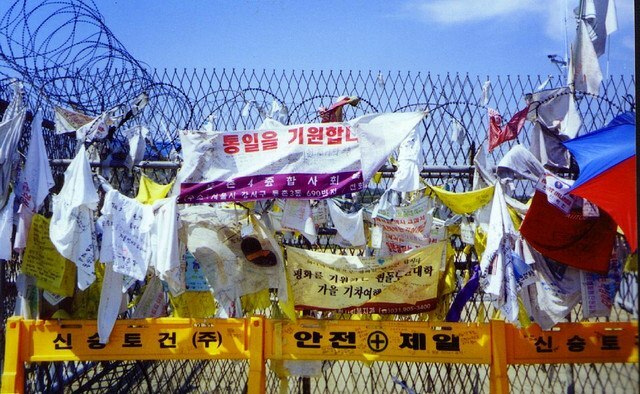 There’s this barbed wire fence with messages from South Koreans (messages of hope perhaps?) would you like to visit North Korea? I would! it’s probably the most elusive country in the world at the moment.